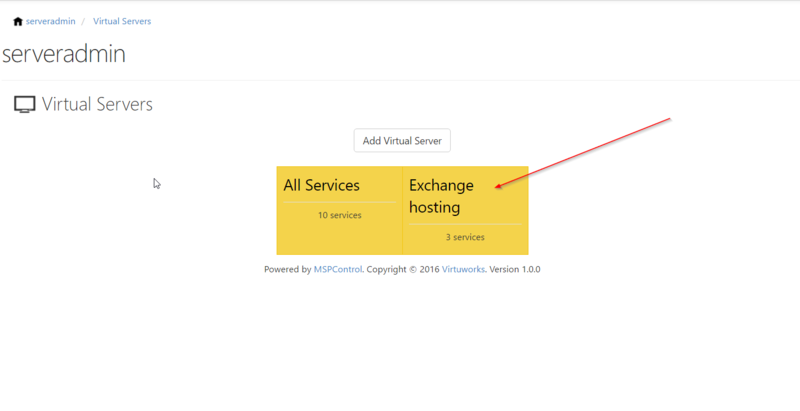 We assume that you already configured Hosted Organizations and Exchange modules. 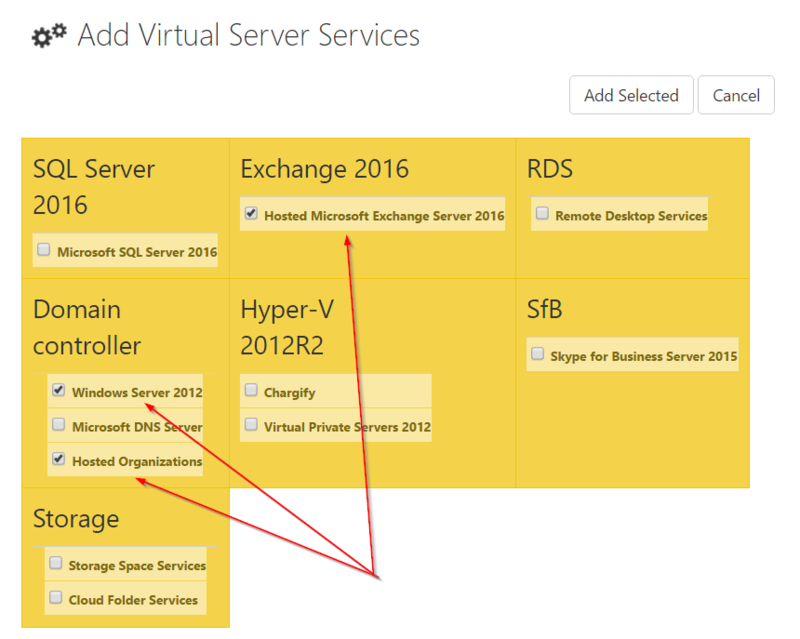 Select System, Hosted Organization and Exchange services and click Add Selected button. If you didn't add System service yet, do it and then come back to this page again. 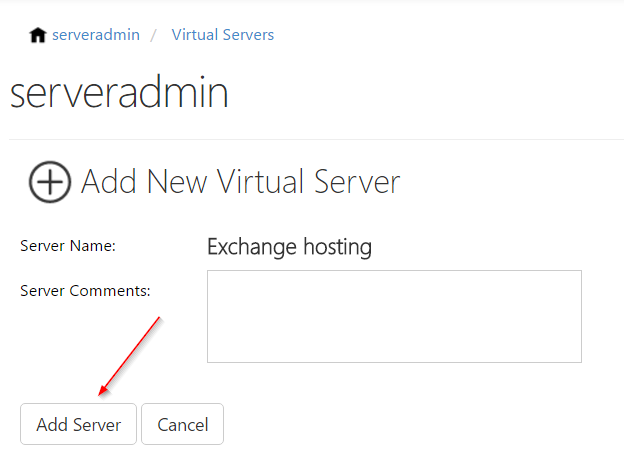 Add System service to your IIS (web hosting) server if you have it. If you don't have it then use random server. 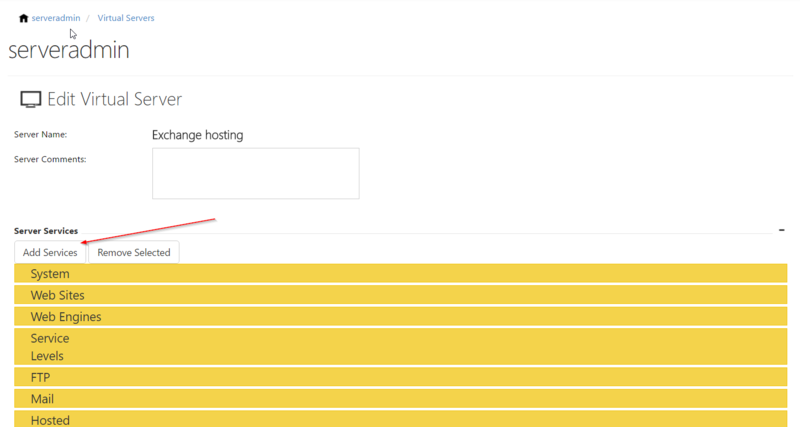 In our example we added it to domain controller.